Whether you work from home or in a shared office environment, taking a holiday can be a dread-filled prospect when you’re self-employed. But just because you are self-employed doesn’t mean that you’re not entitled to the same sort of annual leave that a regular employee takes. 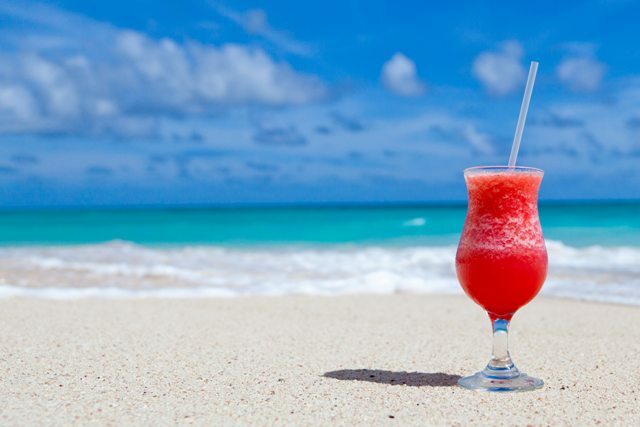 Taking a holiday every now and again can be beneficial for you and your business to prevent burn-out and provide incentives for all your hard work. Everybody needs a holiday from time to time – don’t let the fact that the only person you really need to ask for permission to take one is you get in the way of a hard-earned break. Unlike regular employees, taking time-off isn’t quite as easy as filling out a holiday request form and handing it to a senior staff member. It will require some forward-thinking and perhaps a few adjustments to the way you work in the lead-up to and return from your break. When you’re running your own business, the timing of your holidays can make all the difference. Try to choose a time that works best for your business and your clients to make sure you don’t miss out on too much work. If your clients have young families, it’s likely that they will be taking some time off during the summer holidays and things may quieten down around this period which may give you the perfect opportunity for you to get away. Similarly, most businesses close down for around two weeks over the Christmas period so this is another good time to get some guilt-free holiday time in. Before you go away, it’s always a good idea to set up an automatic out of office email response in case anyone gets in touch while you’re away. An even better idea is to let all your clients know in plenty of time that you have a holiday planned. This will hopefully prevent too many emails coming through to you while you’re on holiday but will also give your clients a heads up, allowing them to send any pressing work through for you to schedule in for them before you go. Consider sending an extra email reminder to clients in the week or fortnight before your holiday begins to make sure you’ve done all you can to keep them informed. Is a holiday really a holiday if you’re still answering emails and taking phone calls? If you’re looking to really relax and get away from work for a bit, let your clients know that you won’t be able to answer emails or take phone calls unless it is an emergency – alternatively, if you have a business partner or someone else who could help out while you’re away, provide your clients with another point of contact should anything important arise. On the other hand, some people don’t mind working whilst they’re away – like the Digital Nomads discussed in an earlier blog. If this is you, it’s still a good idea to let your clients know that you’re out of the country so may not be able to respond to emails/phone calls in the same way as when you’re at home because of time differences and other restrictions. As we mentioned above, getting help and support from your peers is always a good way to alleviate your stresses about going away. Depending on what industry you’re working in, you may also be able to use automated systems or apps to help keep continuity in your business even when you’re out of office. If you are dreading taking time-off as a self-employed person, one of the most important bits of advice to take on board is that if you take a week or two off from work the world will not end. Your clients will still be there when you get back – unless they’re extremely unreasonable, in which case there’s an argument that you’re better off without them. Consider taking a holiday as a way of stepping back and taking a moment – you never know, you may even find some inspiration when you give yourself some space from the business. Give yourself the guilt-free permission to take a proper break from work and we’re confident that you’ll look back and be grateful that you were good to yourself.